This blog post for EdSurge by Andrew Brennen, Student Voice National Field Director and current student at UNC Chapel Hill, centers around engaging and involving students in all levels of school design and public policy. Andrew’s blog focuses on the impact of policy decisions such as public education funding and college costs on young Americans. He also discusses the potential–and profound– impact youth voters could have on current election results, citing the recent Brexit vote in the UK and the coming election in November. 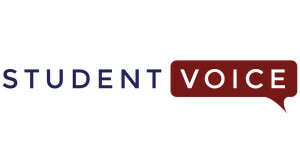 Student Voice is a for-students, by-students nonprofit organization spearheading a social movement to integrate student voices into the global education conversation. We believe students should be included in conversations and decisions that affect their lives, especially in education, since students have a unique perspective on that system. Our social reach allows us to amplify and aggregate student voices through dialogue and facilitated discussions, such as our weekly Twitter chats that take place Mondays at 8:30 pm EST via #stuvoice.